Every family has that one beauty secret they pass down from generation to generation. It’s usually a trick coined by a grandmother (or even someone from generations before) and somehow just stuck around for years as the end-all-be-all trick that guarantees everlasting beauty. There’s almost always someone on the family tree that’s convinced that the secret to permanent youth is just to wash your face with cold water every night, while some families swear that the only way to ensure wrinkle-free skin is by following an intense 7-step skincare regimen complete with two different cleansers, a facial roller and toner. Some just swear by cold cream. Others cover their Pinterest boards with close-ups of Meghan Markle‘s flawless freckles. My family, however, is hell-bent on having soft hands. My mom always carries a small vial of lotion wherever she goes. There are tubes of the stuff in her purse, one in just about every coat pocket and a huge tub of it on her nightstand. Specifically, the one she’s always used, ever since I was little, was a tube of L’Occitane Shea Butter Hand Cream. She always smelled like it — in fact, I’m convinced she bathed in the stuff. See it: Shop the L’Occitane Hand Cream Bouquet (a $72 value) for only $54. 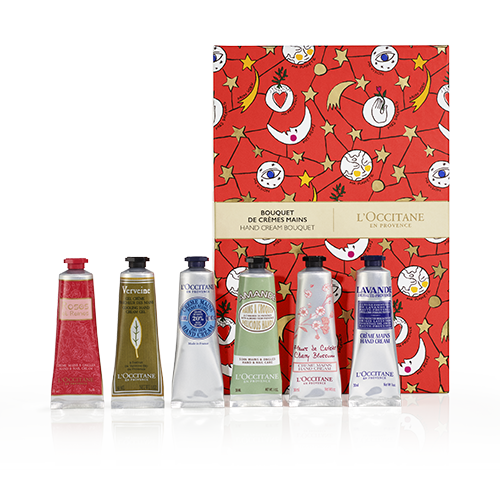 Be sure to check out other hand care items and gift sets at L’Occitane! She was so obsessed with the cream that after years of getting asked about her cloud-like skin, she started giving it away as gifts. First, she consistently endowed everyone in my family with a tube. Whether a stocking stuffer, a birthday present or a “just because” gift, it would always mysteriously make its way to me, without fail, every single year. She gives them out to friends, too, and before long, everyone from her coworkers to her yoga instructor had a tube of the lotion. It’s not hard to see why she (and in turn, I) came to rely on it so much. It’s a L’Occitane bestseller for a reason: It’s made with 20 percent organic shea butter, plus a blend of honey, almond extract and coconut oil penetrate skin and moisturize. And my mom isn’t the only fan of this lotion that comes in an iconic metal tube. 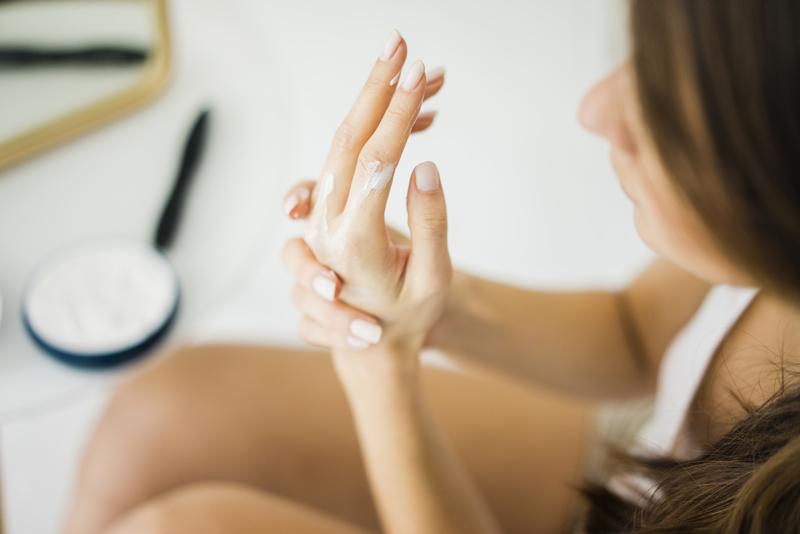 Fun fact: The Shea Butter Hand Cream is so popular, a tube is sold every three seconds around the world. This year, however, it’s time for an upgrade. Instead of getting yet another tube of the classic hand cream for an already large collection, I plan on gifting the matriarch of my family a little something extra: An entire hand cream bouquet. The L’Occinate Hand Cream Bouquet has everything needed for baby soft hands. It comes with six different lotions to ensure that her hands always stay in tip-top shape and perfect to switch it up from time to time. First, there’s the Roses et Reines Hand and Nail Cream, perfect for keeping the entire hand — yes, including the cuticles — feeling plush. The Verbena Hand Cream is sure to be another favorite (it smells so good) as does the Cherry Blossom tube. The Almond Delicious cream is so rich yet not sticky at all and the set, of course, comes with the iconic Shea Butter Hand Cream. I’m most excited to introduce her to the Lavender Hand Cream, which will be great to lather on right before bed. Lavender is scientifically proven to help with a great night’s sleep, so keeping a tube on her nightstand is hopefully going to help her count sheep in no time. She won’t be the only one singing the set praises. The hand cream currently has 4.9 out of 5 stars at L’Occitane, with multiple reviewers gushing over how great of a gift these are. It’s also a great way to try different scents without investing in a brand new tube. They’re also beautifully packaged, making them the perfect gift that doesn’t even need wrapping! Sounds like a win for me.